Summer is in full swing and it's nearly impossible to not find strawberries in grocery stores, farmer's markets, and backyard gardens everywhere. While they are packed with nutritional goodness for your insides, they're high levels of antioxidents and salicylic acid make them the perfect ingredient for a wonderfully refreshing summer facial, too! 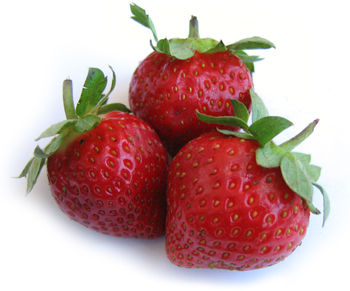 We found these super simple facial recipes at, where else, http://www.strawberry-recipes.com/. You can quickly whip these up with ingredients you likely already have at home. Then, all you have to do is relax while the facial does the rest (and maybe munch on a few extra berries, too)! Rinse strawberries and dry with a clean cloth or paper towel. In a small bowl, mash fruit with a fork. Add cream and honey, mixing well. Apply immediately and leave on for 20 minutes. Rinse of with lots of warm water. See what we mean? EA - SY!! This would be a perfect way to use some of those berries that may be getting a little soft and on the overly ripe side, too! Live mindfully, facial friends!